Won't you do me the honor of visiting My Instagram Account? Such a pretty flower with rain drops. Thanks for sharing at our Cooking & Crafting with J & J link up. Isn't it great - we have the same -moved last Sept. - this Spring and summer will be full of surprises:) Beautiful flowers! Oh yeah, capturing water or dew droplets is one of my favorite things to photograph. I don't get enough opportunity to do this, though. You did a gorgeous job. 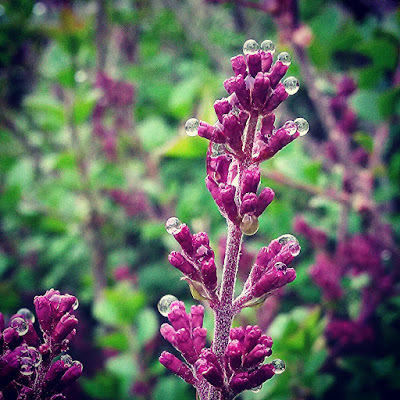 The water drops look like transparent beads on the flowers. Would love to have you join my #WW linky party here! What a terrific image to capture! Wow!! Beautiful!! Thanks for Linking up on My 2 Favorite Things on Thursday!! Hope to see you again tomorrow!! I love having You!! Pinned! !